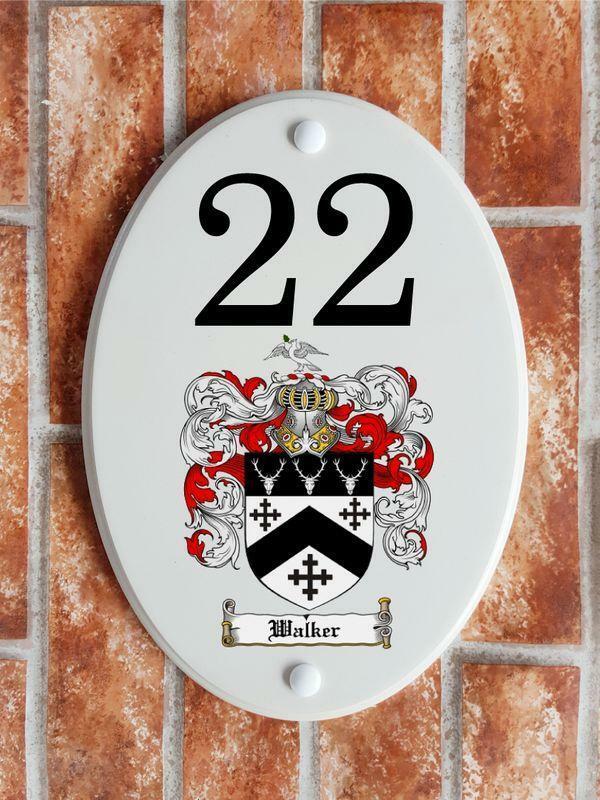 Have your family name heraldic crest printed onto a house sign and personalized with your own wording and number in a choice of 21 different fonts and either black or blue text. You can find your family name crest on many websites, just search for 'Heraldic family name crest' with your Surname in your browser. 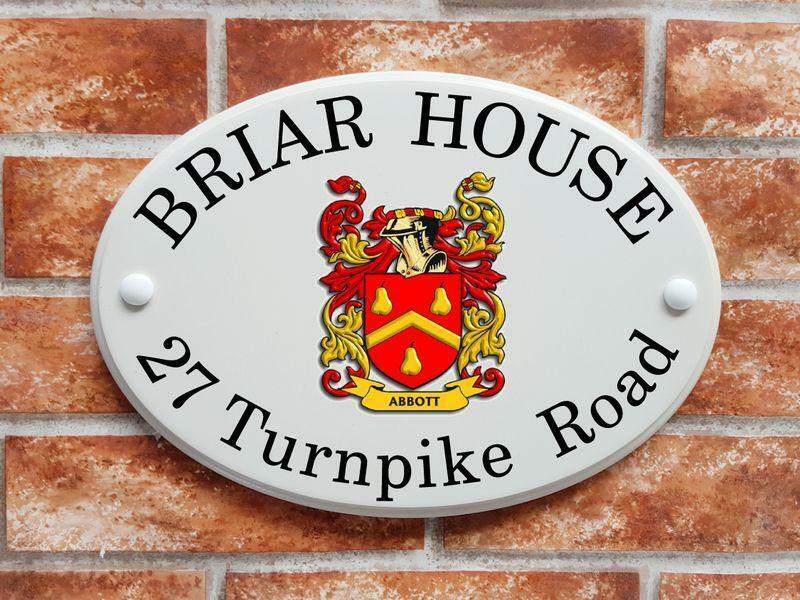 Once you have the correct crest (some surnames have many different crests) send us the artwork image by email attachment and we will let you know if it is a suitable quality for us to print. 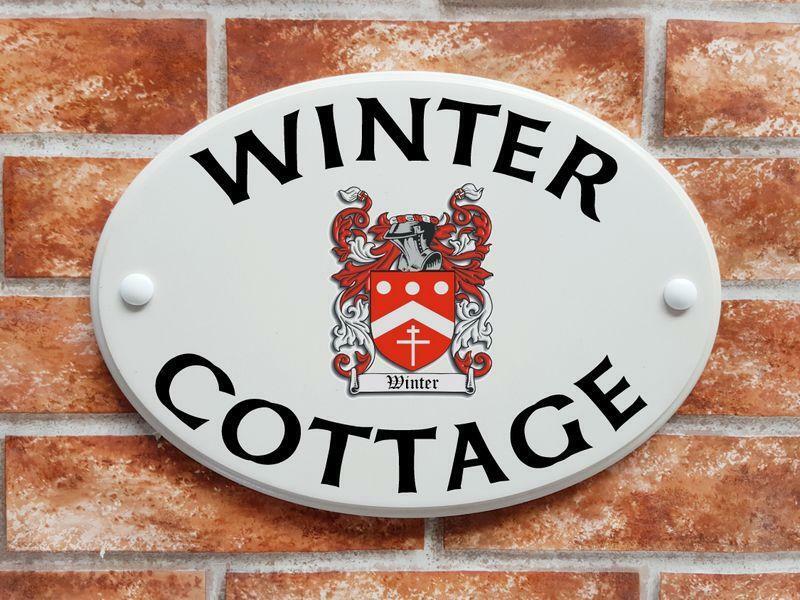 This pottery style house plaque is suitable for house names and numbers incorporated with your family name crest. The base plaque is a solid casting of cultured marble and which is ivory coloured with random darker coloured mineral speckles. It is waterproof and extremely durable outdoors or indoors. 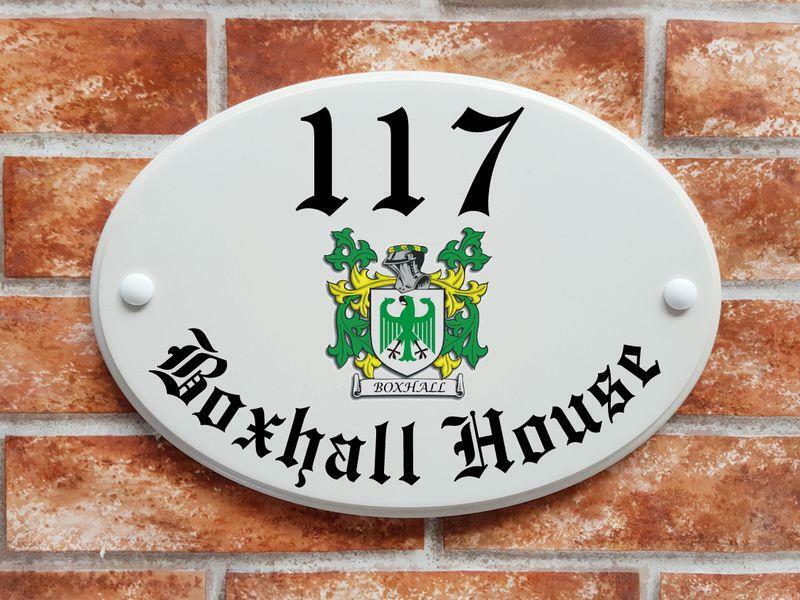 The wording, number and family crest are digitally printed directly onto the base by our UV cure resin ink printer. 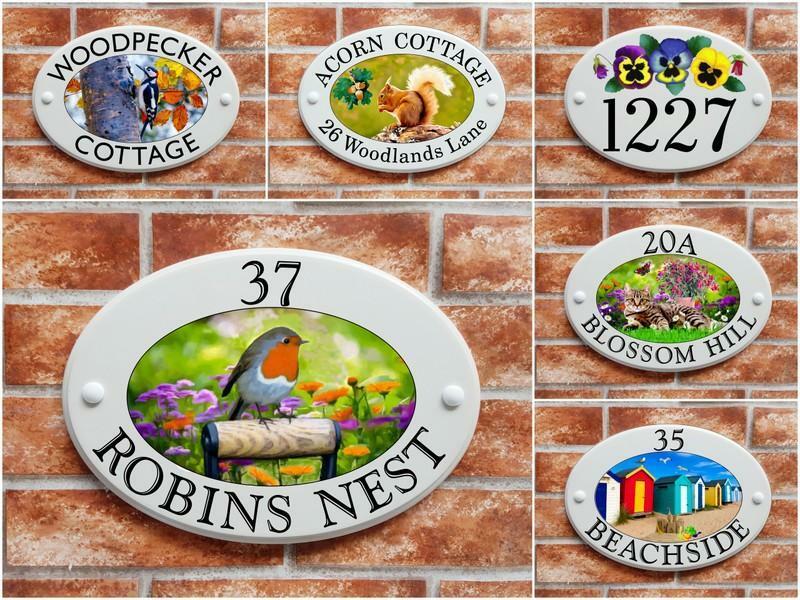 Dimensions: 300mm wide by 215mm high and 12mm thick. 1. 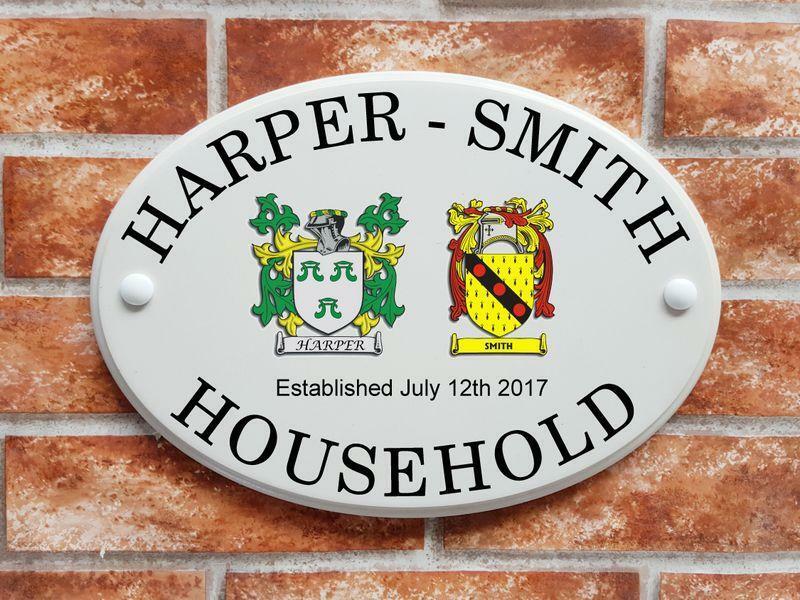 Initially please send us an image of your family name crest by email attachment and we will let you know by return email if it is suitable for printing. 3. When you place your order please notify us of your name, your email address, and the date you sent us your family crest artwork in the 'further instructions' box on this ordering page. 3. 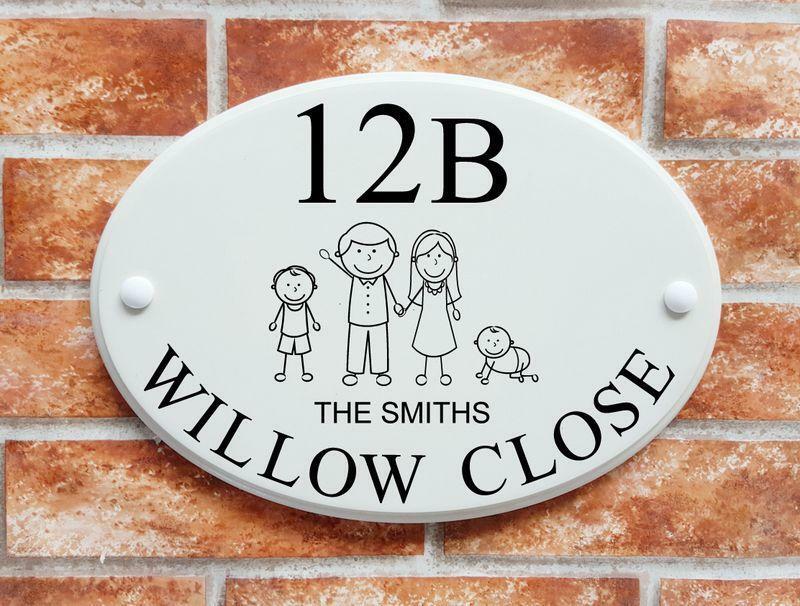 When we receive your order, our design team will create a mock-up proof of the sign and send it to you by email for your perusal. You can either approve of the proof or request an alteration to the font but please bear in mind we don't make any alterations to the artwork. Once we have you approval of the proof we will make your order.